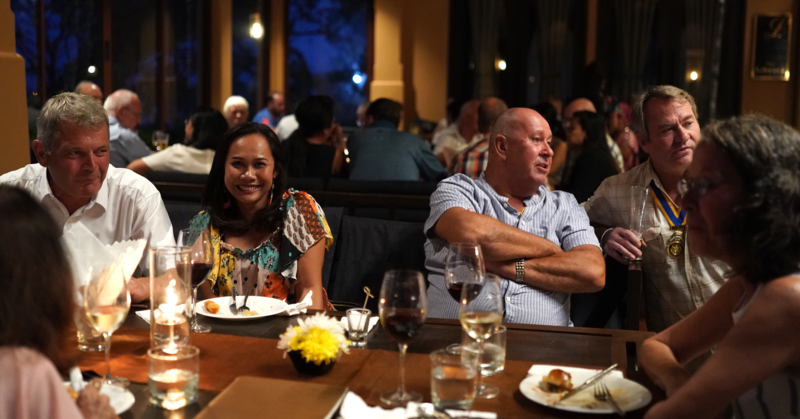 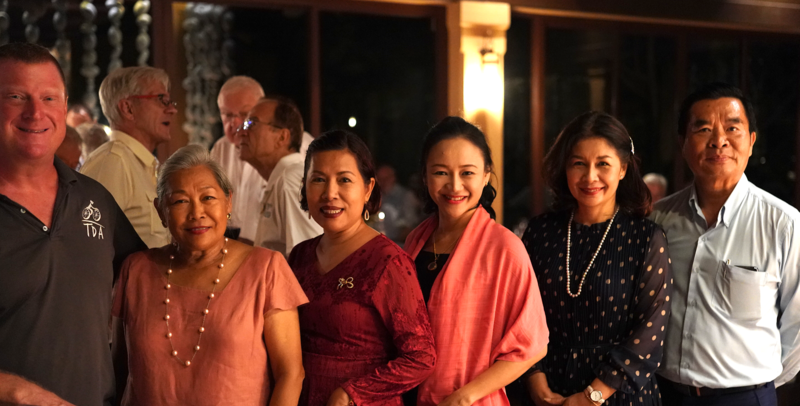 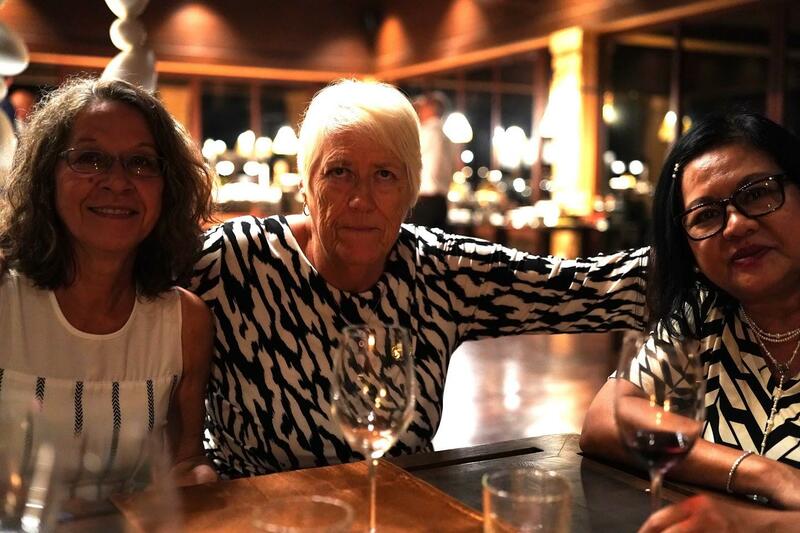 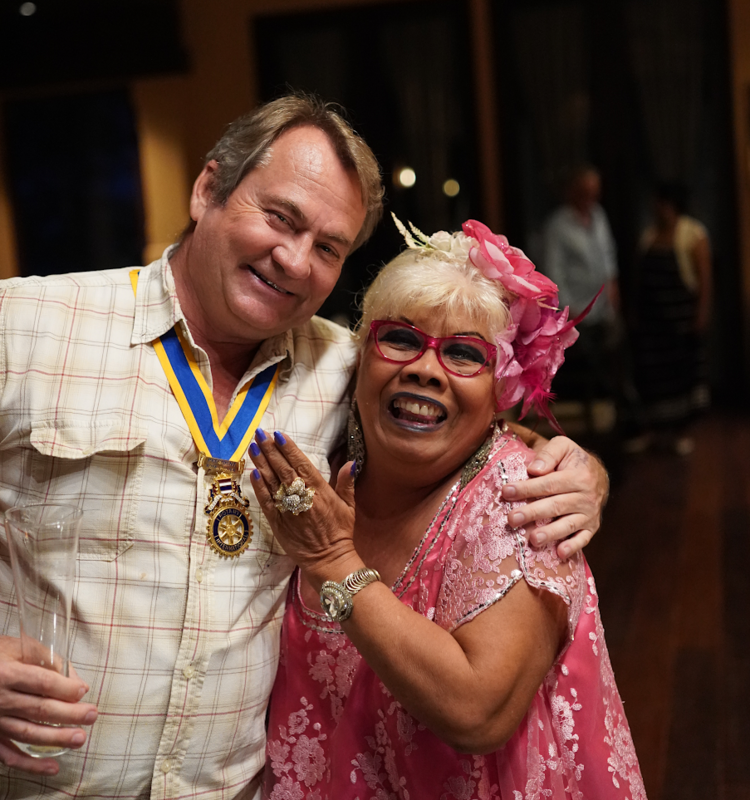 About 60 members and guests of the Rotary Club of Royal Hua Hin supported their 9 Year Celebration Fellowship Night at the Movenpick Asara Resort & Spa on Tuesday 2nd April 2019. 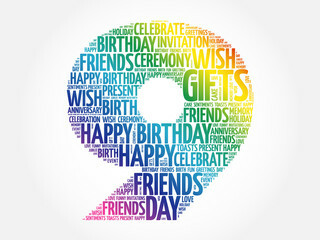 The Fellowship event celebrated RCRHH's 9th year, the first unofficial meeting being held on 11th September 2009 and the Charter received on 12th April 2010. 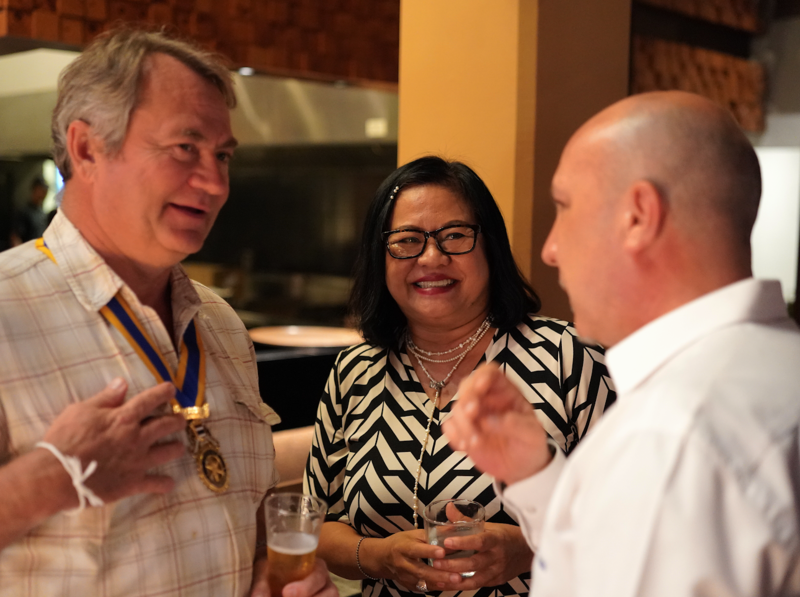 Also present were Rotarians from RC Hua Hin and Patong Beach in Thailand, RC Kalamalka in Canada and RC Zurich West in Switzerland. 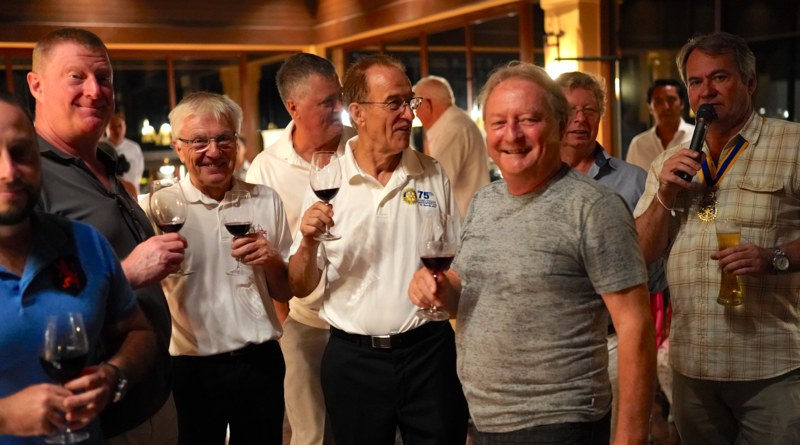 Since those early years the club has moved from strength to strength and now has a total of 52 members and 17 nationalities, possibly one of the few clubs in the world to claim this achievement? 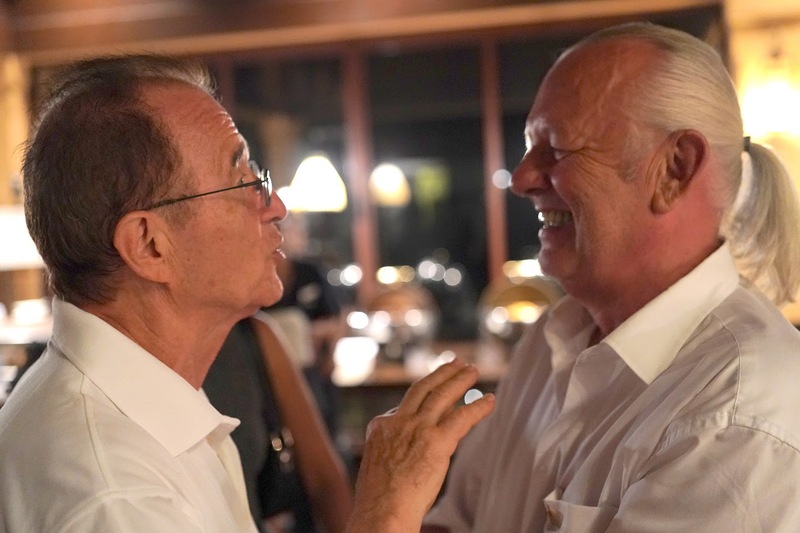 P Brian paid tribute to club's development and invited those Charter Members present to join him, CP Alan Cooper, PP Paul Grab, PP Richard Jones, Rtns Michel Zuber, Fabrice Zuber, Arnold Ruijs and Chris Byrd. 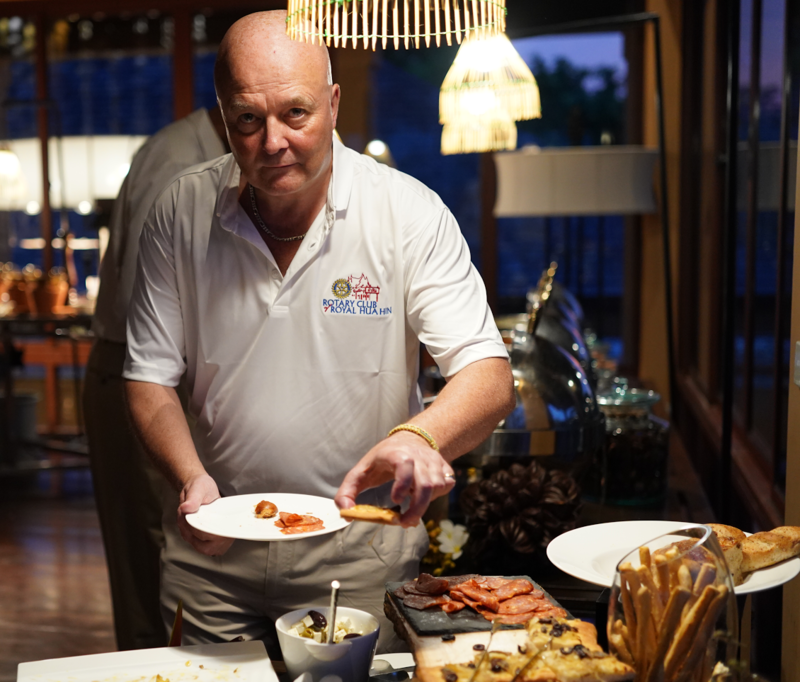 P Brian said ''It's great to have so many Rotarians and friends gather to celebrate our 9th year of providing community service work for the underprivileged and disadvantaged and we welcome everyone to participate in our events and activities''. 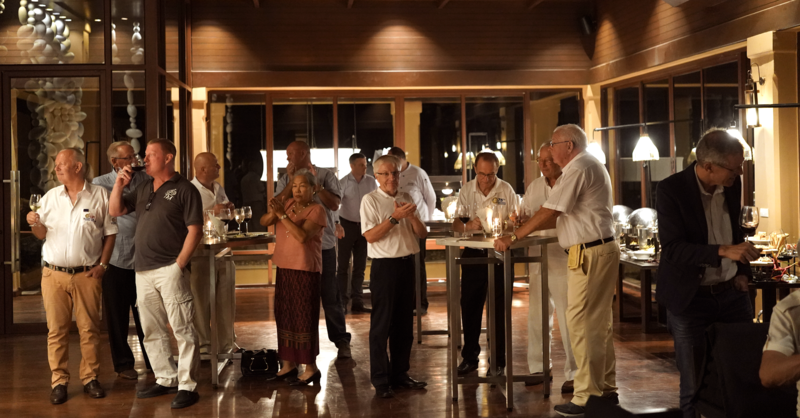 Guests enjoyed free flow wine and beer and a sumptuous buffet consisting of Swiss style favourites, a great night as the club heads into its 10th year celebrations. 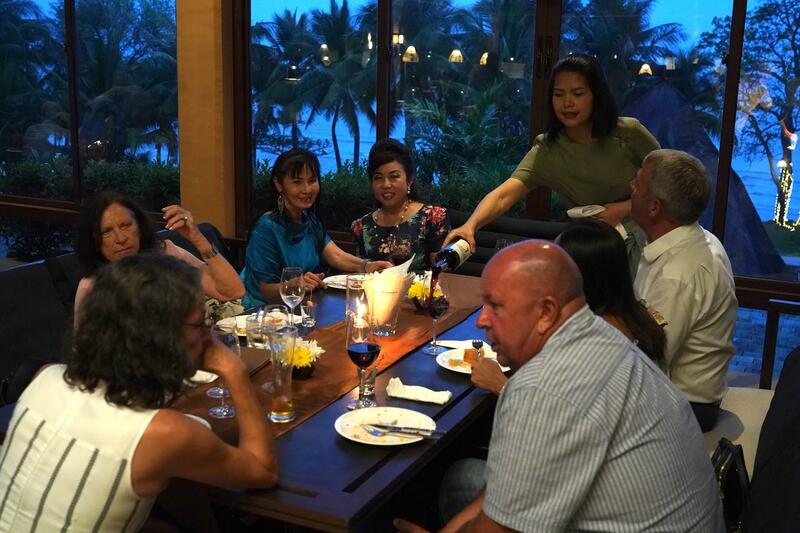 A selection of photographs are below.